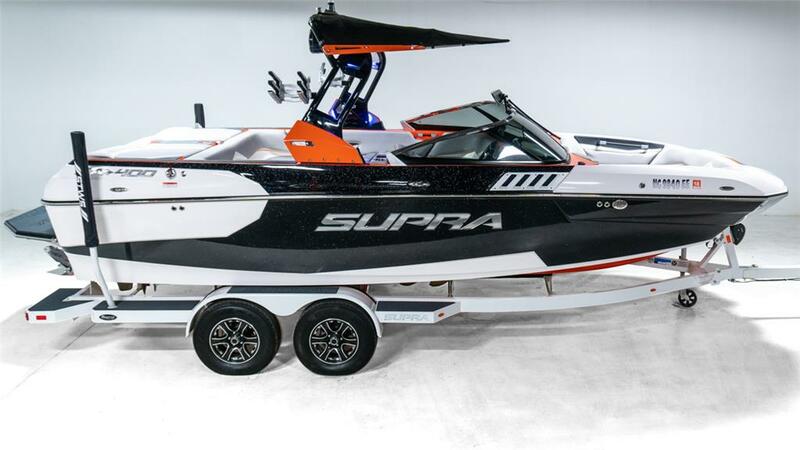 If you are planning on buying a boat for wakeboarding or skiing, there are several things you should think about before you begin the purchasing process. Making sure that you think about the important aspects of buying a boat before you begin shopping will prevent any confusion or stress. First, you need to have a very good idea of what type of boat you are looking for. When it comes to wakeboarding, there are several boats which will get the job done. Next, you will need to decide who you should buy from. Finding the right dealership, and then the right sales person, is crucial in making yourself the proud owner of your ideal boat. You will also need to figure out the prices you are interested in. Boat pricing is an important part of the equation. Finally, you should consider the likelihood that you may end up needing to buy a used ski boat or used wakeboard boat. There are several ways to make sure that buying a used boat is a wise decision. If you are not fortunate enough to make it to a boat show, then you will need to visit boat dealerships in your area. Be open and willing to consider all brands that may offer what you are looking for. You can also visit online boat classified sites like OnlyInboards.com if you want to buy a boat. The great thing about OnlyInboards is you can search through a bunch of great used ski boats and compare prices. Of course, taking the time to research all of the different brands of boats is essential to making a wise decision. This will end up being a big purchase, so it is vital that you are confident in what you are doing. Confidence only comes after gaining knowledge on the subject. Know your ski and wakeboard boats. Know which brands make certain boats. Because you are looking for a boat that will best serve your wakeboarding and skiing needs, there are certain brands with which you will need to become familiar. As you shop for a wakeboard or ski boat, you will encounter three categories of boats. They vDrive, Direct Drive, and Crossover boats. You will need to become familiar with what distinguishes each type of boat from the other. Before you can choose what type of boat you are looking for, you need to figure out what type of Watersports you will use the boat for. If you mainly water ski, then a direct drive boat will be for you. If you are a serious wakeboarder, then you’ll want to look into a vDrive boat. If you are going to be doing a lot of different activities, a crossover boat would be a wise choice. When you start looking for a boat, keep in mind that you will be approached by many sales people who need to sell you the boat you have been looking for - or even the boat that you have not been looking for! Beware of excessively smooth talkers, and people who are overly aggressive. Remember that you are the one who is in control. You are informed, and fully aware of what you need and what you don't need. Try to find a dealership who already has a solid reputation. Keep in mind that you will most likely be working with this person (and his or her company) for as long as you have your boat. Not only do you want the boats to be clean and attractive, but it is also important that the store that you are visiting is kept in good condition. You also need to make sure that the people who work there understand where you are coming from. Be sure to find out whether or not they will be able to repair your boat, and if they will be able to do it in a timely manner. Most important, though, is to find a dealership which staffs people who are sincerely interested and passionate about boating and, ideally, water sports as well. Find out as much as you can about them. If you can, try to find someone who is also a fan of wakeboarding, waterskiing, or whatever water sport you are interested in using the boat for. This will immediately make you feel more comfortable in your conversation and the salesperson will more than likely be able to provide some insider information on the performance of the boat in those areas. It will also make them excited about showing you what they believe might be the boat for you. Expect them to tell you how a certain boat will most benefit you on the water. Then find out all that you need to know about the boat they have decided to show you. Because you are buying a new boat, you will have fewer issues to concern yourself with than if you were buying a used boat. The condition of the boat, both on the interior and the exterior, should be nearly perfect. The boat should have a new engine. As mentioned, it will be particularly beneficial to you if the dealership from whom you are buying your boat is able to do engine maintenance. If you are not ready to buy a new boat yet, you should consider buying a used boat as pricing is always better. Most dealerships have a good number of used boats in their shops. Make sure that you pay attention to the service records of a used boat. These will give you a good idea of how the boat has been treated. If you can, find out a little bit of something about the previous owner. Did they treat the boat well? Did they keep it on a regular schedule of maintenance and checkups? Trust your instincts when it comes to buying a used ski boat or used wakeboard boat. Perform an impromptu inspection on the boat, even if you do not consider yourself an expert on the subject. Look carefully at the upholstery and the carpet. Check for signs of extremely heavy wear. It's generally believed that if the upholstery is in rough shape, the rest of the boat is probably not in good shape. It is very important to search the floor for soft spots, as these are indicators of rotting stringers. Find out if the stringers are fiberglass or wood - if the boat is older, it probably has wood stringers, and it may be beyond repair. Try to find a boat that has fiberglass stringers. Also, check the hour meter, as this should give you a good idea of how much wear and tear the boat has received.